John was born, in Nottingham, on 26th April 1938 and was educated at the Beeston Fields Infant and Junior schools, followed by the Cottesmore Secondary Boys School. On leaving school John went to work as a machine operator in the Raleigh Cycle Works in Nottingham. 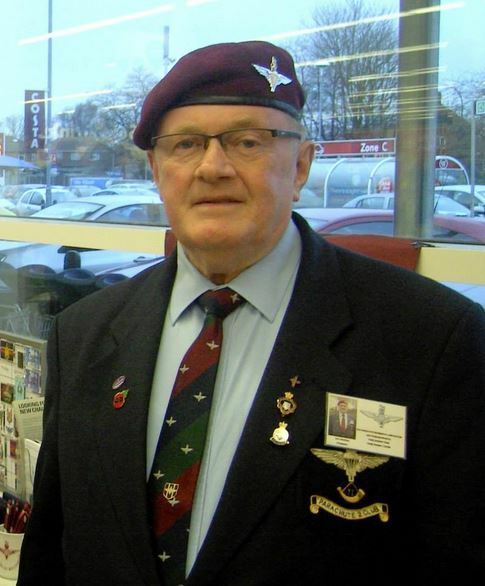 He enlisted into the Army on 24th January 1956, through the Recruiting Office at 21 Trinity Square, Nottingham, and joined The Parachute Regiment. 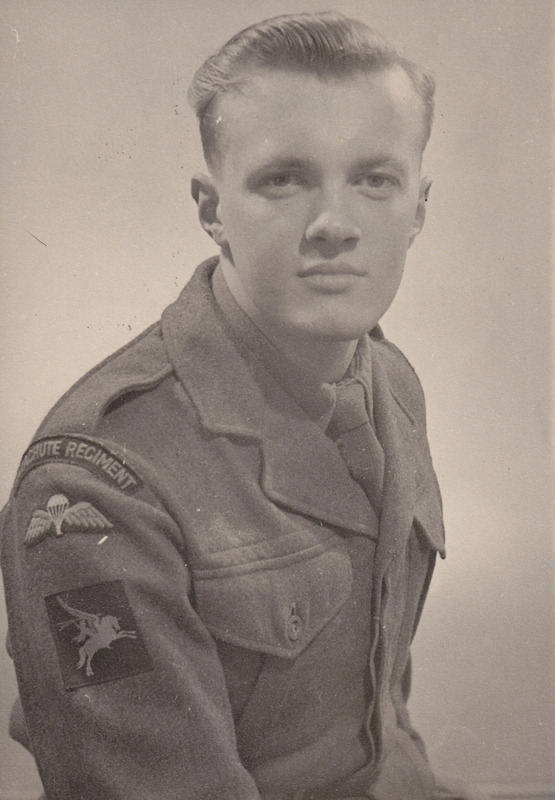 He reported to the Regimental (Para) Depot in Maida Bks, Aldershot for 10 weeks training as a member of 72 Platoon; this was followed by his parachute course at Abingdon in Oxfordshire. 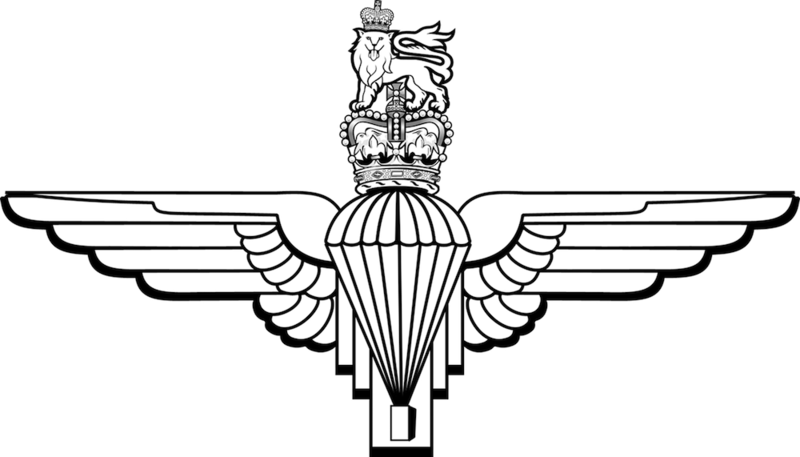 John was not quite 18 when he qualified as an Army Parachutist and therefore he was not eligible to join one of the Regiments Regular Battalions. Instead he was posted to the Depot Sergeants Mess as a waiter / barman. 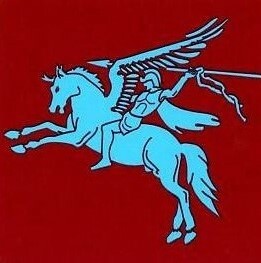 In December 1958 he joined the 2nd Battalion (2 Para) - B Company - at Talevera Bks in Aldershot. In January 1959 the Battalion sailed from Southampton, on the troopship SS Dunera, bound for the sunny shores of Cyprus. On their arrival, the Battalion moved into a tented Plimasol camp in West Nicosia. They moved from that location to Arnhem camp in Keco, West Nicosia and finally to Polymedia camp near Limassol. During this time they also carried out exercises in Malta, North Africa, Kenya and Bahrain. The Battalion returned to the UK in December 1961 where John was posted to Para Depot as a Platoon Corporal in Recruit Company. During this period he was promoted to Sergeant. 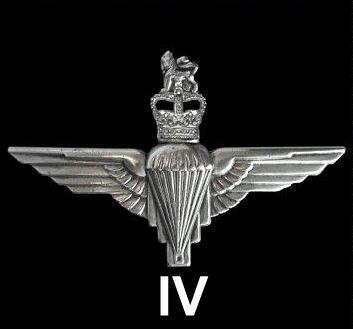 He returned to 2 Para at the end of 1964, just in time to move with the Battalion to Malaya for Jungle Warfare training and then for Active Service against the Indonesian incursions into Borneo. During this time John was in C Company which was the newly formed Patrol Company of the Battalion. The Battalion returned to the UK where John attended a Recruiting Officers course prior to taking up those duties in Northampton; including Kettering and Corby. John was promoted to Colour Sergeant for this duty. He returned once more to 2 Para in 1968; again in time to move with the Battalion to Malaya for, in his case, refresher training in Jungle Warfare. Following this training the battalion moved to Hong Kong where they took over all Public Duties in the colony. They returned to the UK in December 1968. In 1969 John was posted to the Quartermaster Staff of Junior Para at the Para Depot. 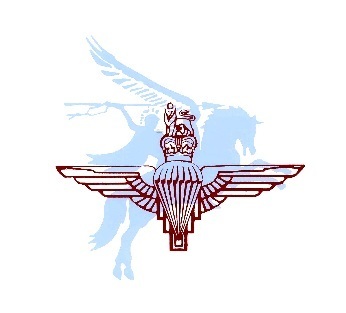 He returned to 2 Para in 1972 where he served, until 1977, in places such as N. Ireland and Berlin and carried out exercises in Belgium and Norway. In 1977, with only a years service remaining, he was posted to RMA Sandhurst where he remained until his discharge, from the Army, on 25th April 1978; a total of 22 years and 92 days Colour Service. During his Service John was awarded the General Service Medal (GSM) 1962 with clasps for Borneo and N. Ireland. John had also attended the Small Arms School at Hythe in Kent and gained a very creditable B Grade. He also attended the Army School of Recruiting prior to taking up his duties in the Northampton area. Since his retirement from the Army, John has been a member of the Parachute Regimental Association; a total of some thirty-odd years. He has held every appointment within the Branch and has been the Branch President for quite a number of years. In February 2011 John was awarded the Jingpat Jasa (the Malaysian Service Medal) for his service in that country after their independence between 1957 and 1966. 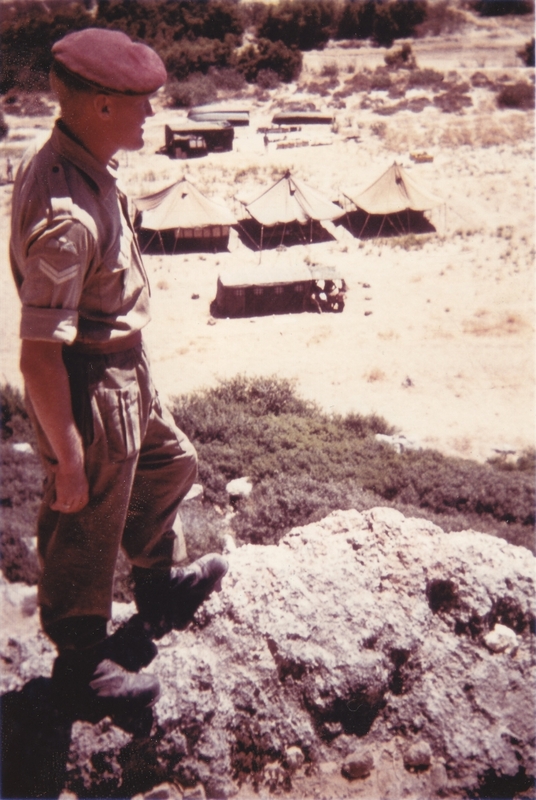 Above Left: Cpl John Needham overlooking camp in Cyprus 1960. 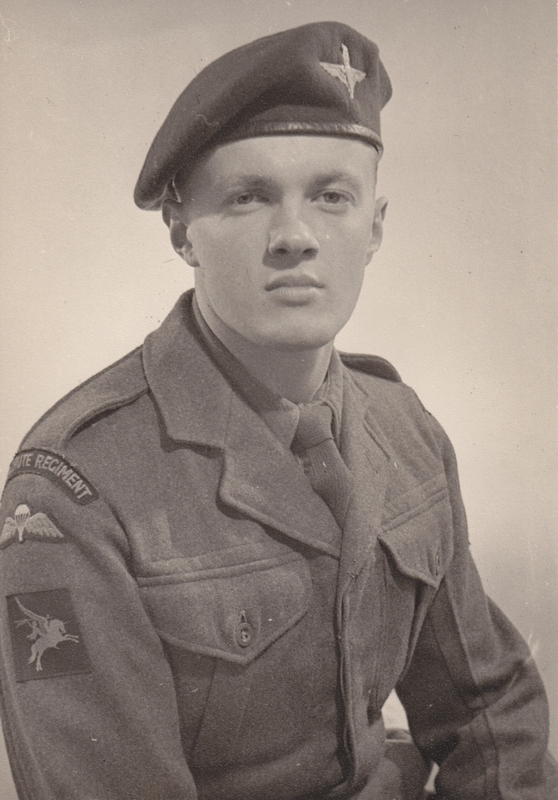 Above Right: A young John Needham after joining the Parachute Regiment in 1956.